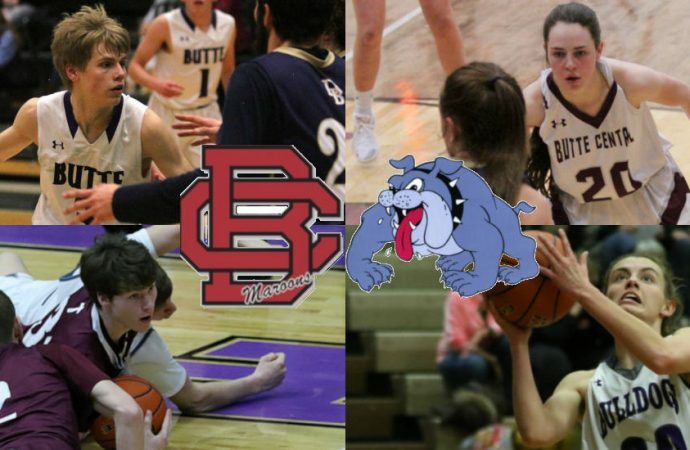 Clockwise from bottom left, Cade Holter, Clay Ferguson, Tricia Joyce and Ally Cleverly are shown in these Butte Sports file photos. It doesn’t get any bigger than this in the Mining City. 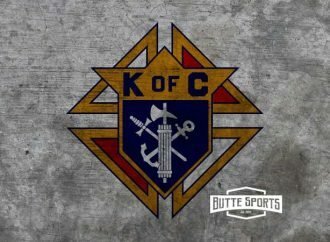 Butte High and Butte Central will renew their basketball rivalry Thursday at the Butte Civic Center. It is a rivalry that, on the boys’ side, dates back to 1916. The girls have been playing since 1976. The girls open the varsity doubleheader at 6 p.m. The nightcap begins at 7:30. Neither contest counts in conference standings, but they very well could be the biggest games of the season. A lifetime of bragging rights hangs in the balance as the Bulldogs take on the Maroons. On the girls’ side, Butte High seeks to build on its 34-18 all-time advantage. Last year, the Bulldogs stopped a three-game losing streak to the Maroons, overcoming a 14-point deficit for a 57-51 victory. When the Bulldogs and Maroons meet, it seems like one player has a game of a lifetime. Last year, it was Butte High sophomore Haley Herron. She scored 23 points and grabbed 11 rebounds to lead the Bulldogs to the big win. 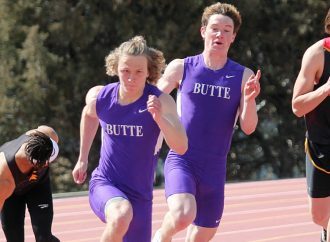 A year later, as a junior, Herron is one of many pieces to the puzzle that has made up Butte High’s best team since 2013. Senior Ally Cleverly leads the team in scoring with 15.2 points per game. She has 25 3-pointers on the season. Cleverly also averages 3.6 assists per game. Classmate Aspen Lovshin has been making a strong case for post-season honors as well. She is averaging 12.5 points. Seniors Brittney Tierney and Justise Birkenbuel and junior Makenna Carpenter are also major players for the Bulldogs, who will again be without injured junior post player Kira Mortensen. Juniors Trisha Ericson and Grace McGrath and sophomores McCaul McCarthy and MacKenzie Tutty have also contributed for the Bulldogs. At 10-3, the Bulldogs enter the game winners of nine of their last 10. 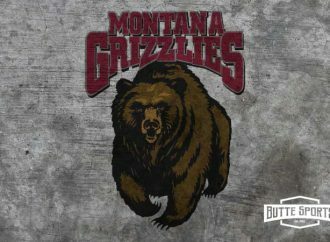 They beat Billings Senior 61-44 Friday in Billings. Butte Central is 7-9 after Saturday’s 49-31 non-conference loss at Livingston. Senior guard Tricia Joyce is having a big-time season to lead the Maroons. Joyce, who seems to get better the later the game, averages 11.8 points, 2.9 assists and 2.6 steals per game. Junior Emma Keeley adds 9.1 points for the Maroons, who get 6.9 points and 6.9 rebounds per game from freshman Sofee Thatcher. The young Maroons will likely start seniors Bella Sorini and Shea Davis and sophomore Maddie Kump along with Joyce and Keeley. Thatcher comes off the bench. BC gets regular contributions from sophomores Amira Bolton, Taylor Harrington, Avery Kelly and Delaney Hasquet. Freshman Payton Hartwick, Brenna Foley and Rileigh McGree have also seen varsity court time. 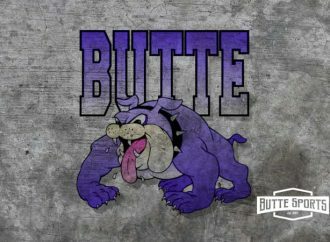 Butte High’s boys are looking to build on their 98-77-1 all-time series lead over the Maroons, but it will not be easy. The Bulldogs have been hit by illness as of late. Seniors Clay Ferguson, Trevyn Roth and Kash Kelly are all questionable to play because of that. That is clearly really bad news for the Bulldogs. Ferguson averages 13.8 points per game to lead Butte High (2-11), which has lost six straight thanks in large part to the illness that hit the team so hard. He scored 18 points in Saturday’s 67-61 home loss to Billings Senior. Roth, who gives the Bulldogs a 3-point threat, averages 8.1 points per game, while Kelly dishes out 6.2 assists per game. As a junior for the Maroons, Danny McCloskey led all scores with 19 points in last year’s Butte-Central battle. That led the Maroons to a 57-39 win. This time, though, McCloskey is playing for the Bulldogs. He averages 11.1 points per game for the Bulldogs. Junior Tommy Mellott and seniors Kale McCarthy and Jake Vetter also contribute for the Bulldogs along with 6-foot-6 sophomore Jake Olson. Juniors Ryan Burt and Michael Phillips and sophomores Billy Kelly, Cael Stenson, Zach Merrifield, Ryan Neil and Aidan Lee have also played in varsity games for Butte High. Junior Braden Harrington has had a breakout season, leading the Maroons’ balanced attack with 12.8 points per game. He is joined averaging in double figures by Cade Holter, who averages 11.9 points to go along with 3.5 assists and 2.9 steals per game. Junior point guard Luke Heaphy runs the BC offense. He dishes out 3.6 assists per game for the Maroons (14-2), who started the season with 13 straight wins. Senior Dylan Sestrich, juniors Aaron Richards, Matt and Jared Simkins, Gator Yelenich and Trevor Neuman are consistent contributors for the Maroons. Senior Patrick Dolan, juniors Ryan Wahl and Thomas McGree and sophomores Egan Lester and Bryan Holland also played varsity games for the Maroons. Butte Central will close out the regular season Saturday against Corvallis. The boys will be home, celebration Senior Parent Day, while the girls are on the road. BC will host the Southwestern A District tournament next week at the Maroon Activities Center. The city championship game is the only action for the Bulldogs this week. Butte High’s next action is Feb. 15 against Billings Skyview. The boys are at home, while the girls are on the road.